1. It's great for keeping warm when you're indoors. Stuck indoors on a stormy day or looking for a way to warm up during a Baguio getaway? Nothing heats up the soul quite like a bit of brandy. Sweeten things up by adding a tablespoon or two of brandy to a cup of thick hot chocolate for a comforting drink! 2. It's good for the heart. Brandy has cholesterol-fighting antioxidants, which can reduce plaque build-up in the arteries. The polyphenols in brandy can also suppress inflammation, leading to a healthier heart. 3. It can ward off signs of aging. When our cells metabolize, they release free radicals, which cause our body's healthy cells to either mutate or die early. The antioxidants in brandy can help eliminate free radicals, in effect helping prevent symptoms of aging like wrinkles and poor vision. Really, who needs fancy creams when there's brandy? Test it out by creating the Metropolitan, a sweet drink which combines brandy, sweet vermouth, and a dash of angostura bitters. 4. It helps you sleep better. This applies to most alcoholic beverages, but brandy's the traditional nightcap drink. A small amount at night can help you sleep faster. Ensure you'll rest really well with pressed sheets, fluffed pillows, and a dimmed environment. 5. It makes you less likely to catch a cold. Hate getting sick? Studies have shown that the antioxidants in red wine make drinkers less susceptible to catching the flu. Since brandy has the same antioxidants, you'll be able to reap their benefits too. Try a glass of brandy after dinner for a relaxing evening. Try brandy the next time you feel like having a drink, especially when you're with your friends! Good company is, after all, the most essential ingredient of any celebration. 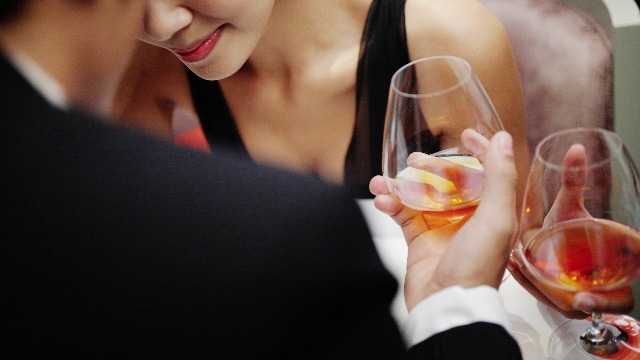 Go for Emperador Brandy, a celebrated drink that's the ideal companion for your next celebration.